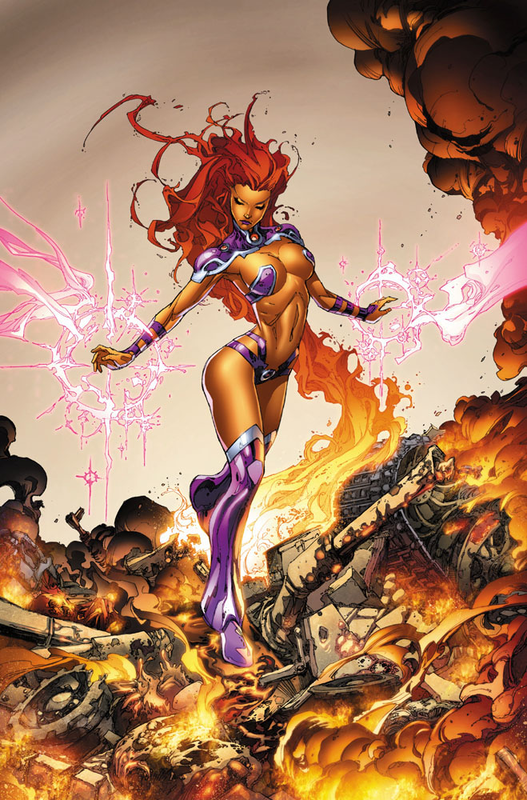 She's Fantastic: DC Collectibles STARFIRE! 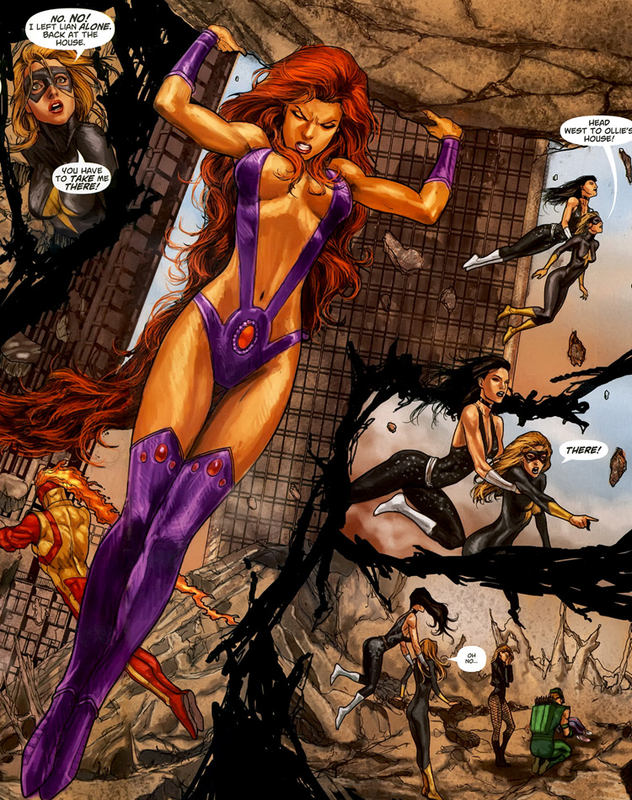 Starfire is one of the few characters in the New 52 that I actually prefer over the original. For some reason her New Teen Titans look and persona always annoyed me a little. I viewed her as clingy and bubbly with an awful hairdo. I was just a kid then, but those early impressions stuck with me. 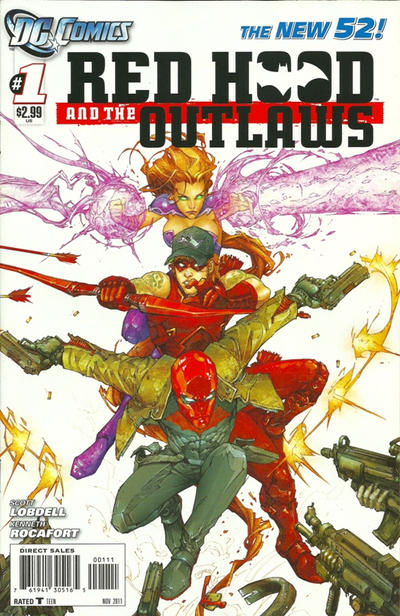 I didn't pay much attention to her until Red Hood and the Outlaws #1 and I suddenly thought she was awesome. This new version was a cold, detached alien who was aggressively sexual and powerfully seductive.. not to mention actually powerful. I heard a lot of gripes about her being nothing more than a vehicle for fanboy titillation and setting the plight of female superhero respectability back more than a few notches, but I liked her. Sure, every criticism rang true, but on the flipside she also embodied a dominant empowered woman in every sense of the word. Not to mention that her hair suddenly looked awesome. The original solicitation of this figure was the moment that truly felt that DC Collectibles (née DC Direct) was finally back in full swing. She was beautiful, unexpected, and not Wonder Woman. Let's check out Starfire below! The sculpt by Jack Mathews is gorgeous as usual. The hair sculpt is beautiful. There is a break in the mold right around her waist line. The hair piece below that line is cast in translucent plastic for a very cool fiery effect. Note: This is a static connection between the two types of plastic, definitely not a point of articulation. She has joints at the neck, shoulders, biceps, elbows, forearms, hips, thighs, knees, and ankles - giving her 17 POA in total. (19 if you count the shoulderpads detailed three photos down). There are no wrist or torso cuts, but I honestly don't think she needs them. Her face and torso have an amazing profile. Most female figures seem to falter a bit around the chin/neck/collarbone area, but this is perfection. A cool little addition for poseability are hinged shoulderpads. They flip up to enable a full range of arm positions. 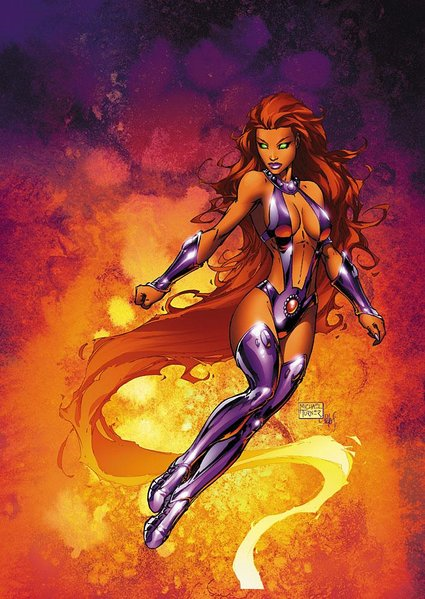 Here are some images of Starfire from the comics. Here she is with DC Collectibles' Wonder Girl and Power Girl. And here she is with the 2009 DCUC Starfire from Mattel. I usually like the skin tone that results from this plastic DCC has been using, but I think in this case it makes Starfire's skin look not orange enough. I really like the sculpting and proportions going on here though! I know what you mean about the soft orange color this plastic gives her skin. It kind of looks like she just has a fake tan. Most of the other figures I've seen of her have a distinctive greenish hue to the orange like a not-quite-ripe pumpkin. Overall I don't mind this though. My only issue is that the translucent plastic DCC has been using for skin tones is extrememly hard to photograph. It refelcts light in weird ways and makes the faces look blurry, even though everything else is in focus. Finally got this figure. And I must admit is even better than the pictures. I would love a classic George Perez well articulated figure (the first DC Direct is stiff and giving a nazi salute). But I own all Titans figures and I feel pretty well serve. ( unless Original Outsiders or the Legion). It's funny - I had that old DCD Starfire for years before I realized she had light up eyes and hair. I was holding her for some reason and before I knew it she was blazing in my hands. And beyond that shock, it was amazing the batteries still worked. I hope DC Collectibles will venture into classic territory eventually because there are so many old designs that could use new figures. Actually, come to thnk of it, the new Power Girl figure is in her classic outfit as opposed to her New52 attrocity... so maybe there's hope.